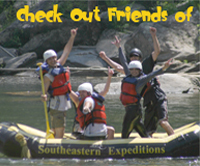 Southeastern Expeditions has been operating on the Chattooga River since 1972. In 2014 the company was purchased by RaftOne Company. RaftOne brought much needed engaged ownership to a company that has a legacy known throughout the world. With the help of the current staff and management SEE is and will continue to be where many outdoor professionals call home. Southeastern Expedition’s rafting season normally begins in mid March and runs through the first of November. We offer competitive wages and benefits and most positions are entry level, although senior and management positions do come available from time to time. In addition to rafting, we offer guided mountain biking, hiking, & kayak instruction. Because we are a seasonal business, it is difficult to offer full time work; however, we try very hard to provide our staff with steady employment throughout the season. During the summer months everyone is expected to work when needed. Time off during peak times is not guaranteed, but we try to comply with your requests. Providing our guests with the best experience on the Chattooga River is our priority and that means their time and enjoyment comes first! Southeastern Expedition’s management wants you to have the opportunity to enjoy the services and products we offer to our guests. This is an opportunity for you to learn new skills in a wide variety of settings. We expect professionalism and commitment from you – in turn we offer a fun work environment, a commitment to an outstanding guest experience and the enjoyment of working with a team of people who value outdoor recreation as a way of life – not just as a business. Southeastern Expeditions is committed to the safety of our guests as well as our staff. Pre-employment and/or random drug/alcohol testing is required for all positions. Post accident drug/alcohol testing may be required by the Company, the Forest Service, TDEC or insurance company. Any employee allowing drugs or alcohol to affect their work will be terminated. A professional and well groomed appearance is a requirement. We expect your clothing/uniform and gear to be clean and well maintained. We rely on your good judgment. Your conduct on our property, on the river, while at work and in the community at large is a reflection of our company and responsible behavior and appearance is a necessity. For the safety of our guests and other employees you must obtain permission from your manager BEFORE bringing your pet onto the outpost property or into the guide housing area. Housing is provided, free of charge, based on availability. Our housing is open-air bunkhouses or cabins. You will have a roommate and housing placement is not guaranteed. Please contact your manager immediately if you need housing. 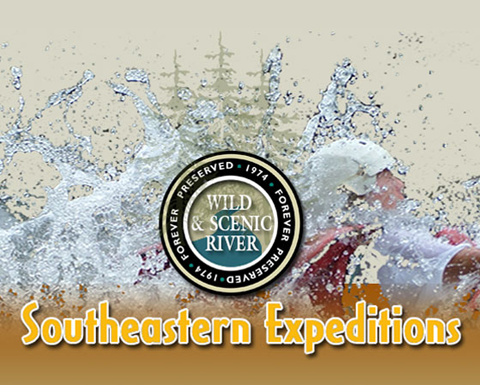 Thank you for your interest in Southeastern Expeditions—we appreciate the opportunity to review your application. To look over our job openings and download an application, click here. Please call 1-800-868-7238 for further employment information.